Olivet University (OU) Dover New York campus welcomed World Evangelical Alliance (WEA) and its Women’s Commission team as well as representatives from Open Doors International, the Gender and Religious Freedom Forum and All Nations Christian College to give a presentation on human trafficking and Christian persecution. 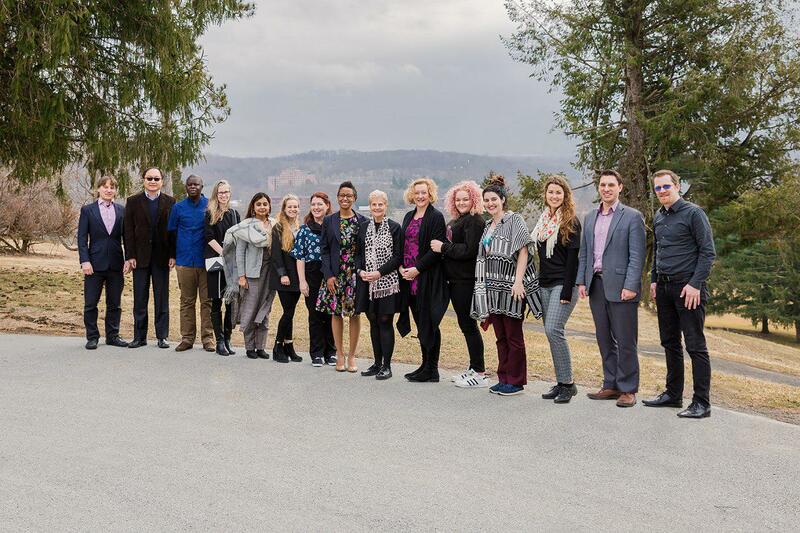 The delegates participating at WEA's 63rd session of the Commission on the Status of Women (CSW) in New York City from March 11 to 22 were invited by OU to present on these global issues to theology students in Dover. Dr. Christine MacMillan, WEA's Senior Advisor of Social Justice, member of the Faith Advisory Council of the United Nations, started the presentation by introducing WEA's works in the areas of human trafficking and religious persecution. Martin Kapenda, a member of WEA Taskforce on Human Trafficking and the National Coordinator of Micah Zambia, is the first man at WEA working in the field of human trafficking. In his lecture, he emphasized the importance of changing the attitude of men who are mostly beneficiaries of human trafficking, while most victims are female. Other delegates National Director of Evangelical Fellowship of India Aashima Samuel, Chairperson of Gender and Religious Freedom Emma Dipper and Open Door’s Global Gender Persecution Specialist Helene Fisher also presented in the gathering. In addition to the presentation, three actresses used performing arts to depict specific aspects of Christian persecution. “I thought the presentations included parts of theological analysis and interpretation so that students could see how biblical exegesis becomes the basis for specific action and is able to change attitudes and behaviors,” added Förster. Lastly, all speakers joined a panel discussion and answered questions from the audience concluded by a joint prayer led by Dr. MacMillan. The delegates took a tour of OU’s Dover campus to conclude the day. OU and WEA have been working in partnership to advance evangelical movement worldwide over the last decade. OU students and staff were thankful for the insightful presentations by the WEA delegates. The delegates enjoyed their visit and expressed heartfelt gratitude for the kind hospitality.